The U.S. Patent & Trademark Office has selected Chicago-Kent as the Patent Pro Bono Hub for Illinois. USPTO Director Michelle Lee made the announcement in April while in Chicago at a talk before the Intellectual Property Law Association of Chicago. The nationwide program, established under the America Invents Act, provides low-income inventors with pro bono legal assistance in filing patent applications. Chicago-Kent will serve as the Illinois administrator, or "hub," to process requests from low-income inventors and to match them with attorneys who can represent them at no charge for the limited purpose of filing a patent application. 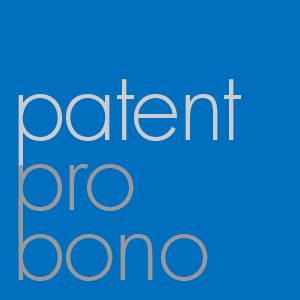 The program provides a rare opportunity for attorneys to do pro bono work in patent practice. "We're very excited about being a part of the USPTO's pro bono program," remarked Professor Edward Lee, director of the IP Program. "It's a great way to give back to the community while at the same time helping low-income inventors find pro bono representation. It's also great for our IP students who volunteer to assist in the program." 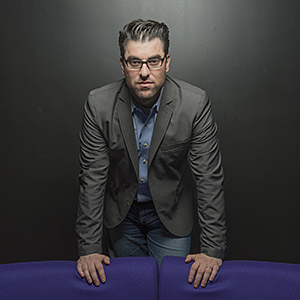 Professor Daniel Martin Katz, a leader in using technology to advance the study and practice of law, will join the Chicago-Kent faculty in fall 2015. Currently a faculty member at Michigan State University College of Law, Professor Katz will assume a key leadership role in Chicago-Kent's ongoing initiative to build the preeminent law and technology program in the country. A scholar of legal informatics and legal technology, Professor Katz is an editor of the International Journal of Law and Information Technology (Oxford University Press) and a member of the editorial board of the Journal of Artificial Intelligence and Law (Springer Scientific). In 2013, Professor Katz was named a Legal Rebel by the ABA Journal and received a Fastcase 50 award, recognizing him as one of "50 of the smartest, most courageous innovators, techies, visionaries and leaders in the law." 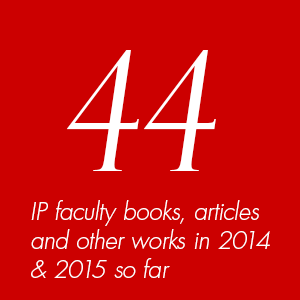 In 2014, he was named to the external affiliated faculty at CodeX-Stanford Center for Legal Informatics. Professor Katz earned his J.D. and his Ph.D. in political science and public policy from the University of Michigan and was an NSF-IGERT Fellow at the University of Michigan Center for the Study of Complex Systems. A proponent of training law students in technical skills, Professor Katz applies a polytechnic approach to teaching, meshing litigation knowledge with emerging software capabilities and other efficiency-enhancing technologies. Both his scholarship and his teaching integrate empirical methods, mathematics, science, engineering and technology to aid students in the practice of law. "We are delighted that Dan Katz is joining our faculty and carrying on our school's special relationship with technological advancements," said Dean Harold J. Krent. 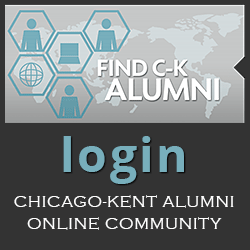 "From our ties to Illinois Institute of Technology to our pioneering technology in the '80s and '90s, from our ongoing prominence in intellectual property law to our current innovations in knowledge management, Chicago-Kent has long stood out for understanding the critical role of technology in the study and practice of law." Inspired by Professor Katz's hiring, alumnus George Zelcs '79 donated $500,000 to the law school for an initiative that will increase the number of opportunities Chicago-Kent students have to hone their technology skills and to gain deeper understanding of critical and emerging advancements at the intersection of law and technology. In the inaugural year of Chicago Kent's innovative 1L Your Way program, first-year students were able to take one of several upper-level elective courses, including a clinical rotation, business organizations, criminal procedure, employment law, international law, and patent law. 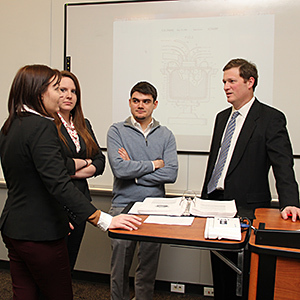 Ten first-year students enrolled in Patent Law during the spring semester, a course taught by Professor David Schwartz to students from all three years. The course and the program were a great success. "Patent Law has provided me an unrivaled opportunity to begin building career-specific knowledge as a 1L student," Bryan Helwig stated. "The opportunity to take Patent Law as a 1L is reflective of the innovation that has established Chicago-Kent as a top IP program." Margaret Wojkowski, another 1L in the class, agreed about the benefits of taking an elective in the first year. "Taking Patent Law during my first year has given me an additional point to distinguish myself from other 1Ls applying for summer associate positions at IP law firms. I believe that it has given me a leg up in obtaining interviews for those positions." Chicago-Kent also held two BookIT IP Series talks with Professors Neil Richards and Irene Calboli, who spoke about their recently published books on privacy and diversity in intellectual property, respectively. In addition, the school hosted several IP conferences co-sponsored by the Intellectual Property Law Association of Chicago (IPLAC) and the Richard Linn American Inn of Court, including a judges' panel with Federal Circuit Judges Richard Linn and Raymond Chen. 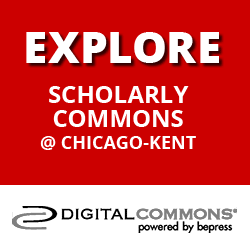 Chicago-Kent also hosted two conferences on music, copyright reforms, and the music industry. The speakers included Regan Smith of the U.S. Copyright Office, Brieanne Elpert of SoundExchange, Professor Peter DiCola of Northwestern Law School, and other experts and musicians. 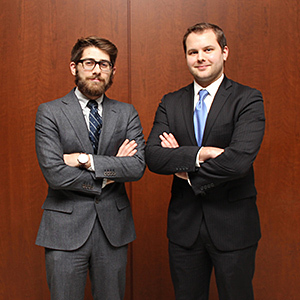 Daniel Allard '15 (right) and Patrick Grimaldi '16 won the Giles Sutherland Rich Memorial Moot Court Regional Competition in March. The team swept the Midwest tournament at John Marshall Law School and qualified for the national finals in Washington, D.C. Sponsored by the American Intellectual Property Law Association, the competition focuses on patent law issues. The team was coached by alumnus Jeff Mikrut '10, and Professor Mickie Piatt helped out with practices. Hanna Kaufman, a third-year Chicago-Kent Honors Scholar, addressed the White House Forum on Increasing Access to Justice on April 14 in Washington, D.C. 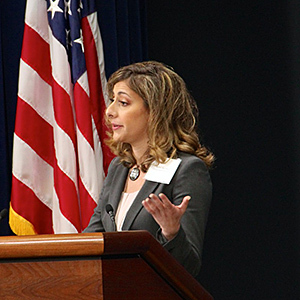 The forum, which was co-sponsored by the White House and the Legal Services Corporation (LSC), was attended by senior officials of the Obama administration, federal agency representatives, members of the federal and state judiciaries, policymakers, lawmakers, LSC board members and LSC-grantee legal aid organizations. Hanna was the only law student invited to address the forum. In her presentation, "Law Students + Technology = Closing the Justice Gap," Hanna discussed ways in which law students are moving beyond traditional curriculum paradigms, learning "lawyering skills of the future," and how those skills can help the next generation of lawyers and legal organizations provide access to justice for underserved groups and individuals. Hanna described her experiences as a second-year student in Professor Ronald W. Staudt's Justice & Technology Practicum, a hybrid course of clinical and classroom methods that help students frame a problem and understand how access to justice issues affect self-represented litigants. 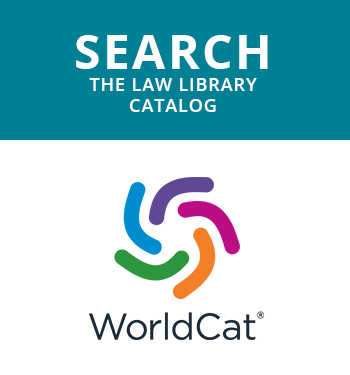 There, Hanna learned how to use technology—specifically A2J Author® software—to help self-represented litigants generate the forms they need to navigate the legal system. 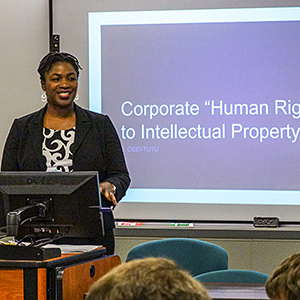 "Through a series of different activities," Hanna told those assembled, "students use technology to help maximize the capabilities of [legal aid] organizations to serve their clients." Hanna also discussed how the Chicago-Kent program, which began in 2010, has had an impact beyond the state of Illinois, now involving more than 100 students in seven law schools that have partnered with legal organizations in 17 states. "As markets have become increasingly global in the twenty-first century, it is time to reconsider the idea of a universal system of IP, at least in some limited respects. This article begins that undertaking. It offers a proposal for WTO countries to adopt global IP rights for a special class of trademarks: famous or well-known marks." —from Edward Lee, The Global Trade Mark, 35 University of Pennsylvania Journal of International Law 917, selected by the Intellectual Property Review as one of the best articles in intellectual property law for 2014.